/ Conch Piercing: What is This Piercing All About? The conch piercing is a very stylish and modern type of ear cartilage piercing. 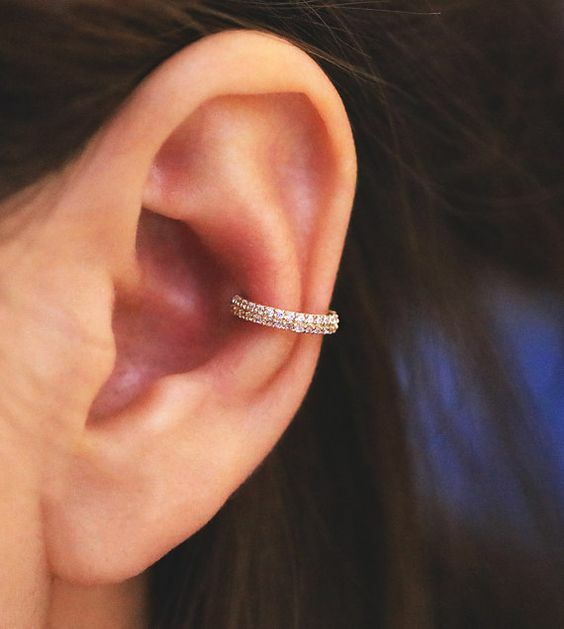 It is not your typical ear piercing, but you can definitely see a lot of piercing enthusiasts sporting this type of piercing today. Today, we will discuss everything about the conch piercing including how it is done, what it really is, how to clean it, what the risks of getting one are, and a whole lot more. 1 Conch Piercing – What is it, Really? 2 What can I Expect at the Piercer’s Shop? 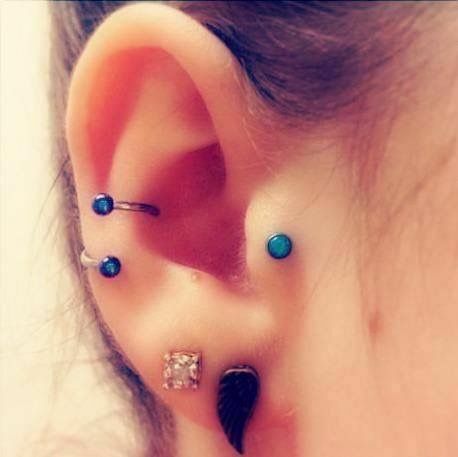 3 How Painful is the Conch Piercing? 4 How Much Would it Cost Me to Get a Conch Piercing? 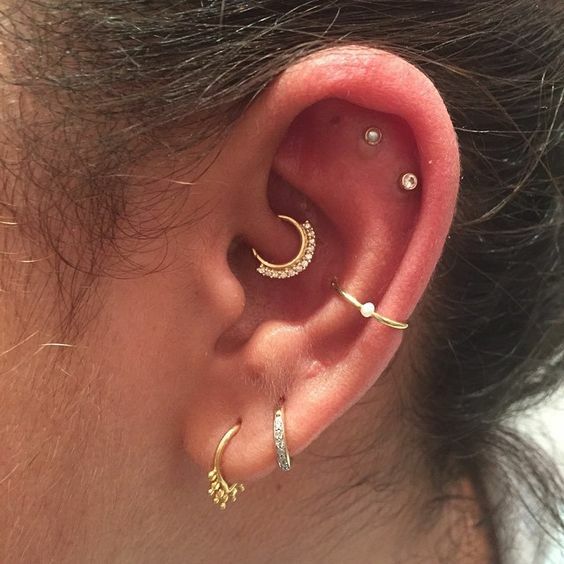 5 How Should I Prepare for my Conch Piercing? 6 How Should I Clean my Conch Piercing? 7 When can I Expect my Piercing to Heal? 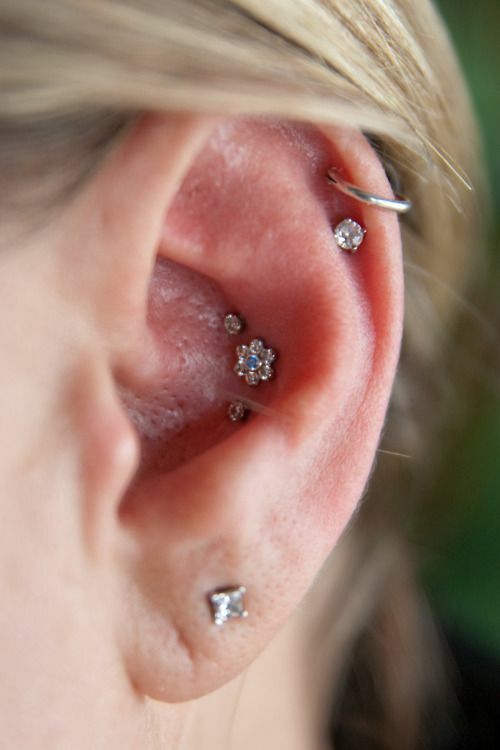 10 What Type of Jewelry Should I Use for my Conch Piercing? Conch Piercing – What is it, Really? A daith, earlobe, and conch piercing. The conch piercing is located at the middle part of the ear, exactly where the largest part of the cartilage can be found. It is located near one of the most popular ear piercings. There are two types of conch piercings: one is the outer conch, wherein the piercer pierces the outer middle cartilage of the ear. The other is the inner conch, wherein you will get the inner middle part of your ear cartilage pierced. Both of these areas consist of really hard and thick cartilage, which means that it will take longer for the wound to heal completely. Always follow the aftercare instructions given by your piercer to avoid any type of infection. What can I Expect at the Piercer’s Shop? First, the piercer will talk to you about the risks of getting a conch piercing. They will also most likely ask you to sign some consent papers so whatever happens, only you will be responsible for the piercing. After all that is done, the piercer will then proceed to sanitize the tools that he will use to pierce your ear. He will also mark the area where he will insert the piercing. He will then proceed to pierce the ear either with a piercing gun or a hollow needle. Take note though, that a hollow needle would be the best tool to use for this process, as it is a lot safer and cleaner. 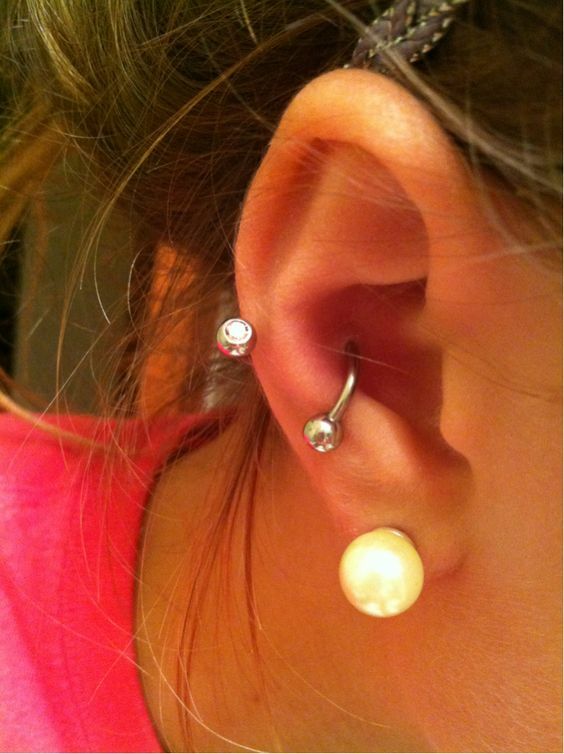 Here’s a picture of a beautiful jewelry for the conch piercing. While inserting the needle, the jewelry will come right after. Once the jewelry is inserted, he will either clean it or leave it as it is. Once that’s finished, your piercer will then discuss the aftercare instructions for you to follow. Make sure to listen well and list down every little thing so you would not forget it right after. Buy all of the aftercare products that you need and follow the tips given by your piercer so you will avoid getting an unwanted infection. How Painful is the Conch Piercing? The level of pain depends per person, but the average piercing pain for the conch is actually not that bad. The pain is similar to that of a helix piercing, so if you’ve had that done before, then you can expect the pain to be quite similar. 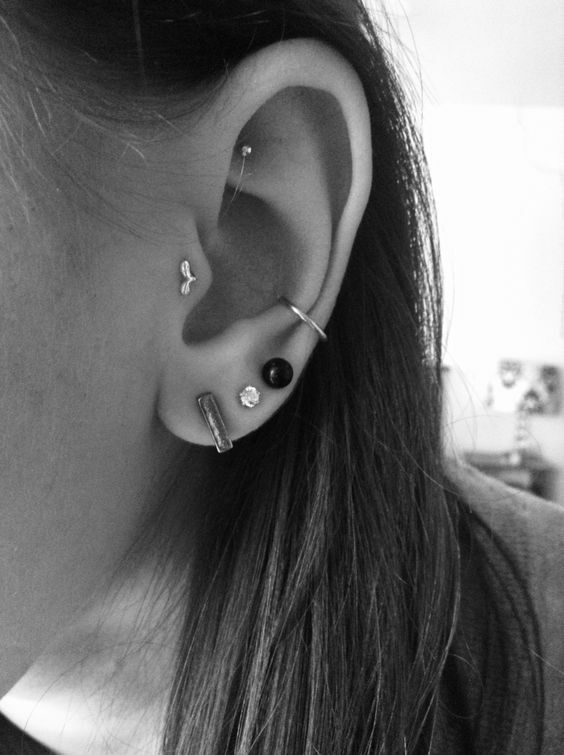 The piercing will hurt more than an earlobe piercing, but it definitely would not be overwhelming. 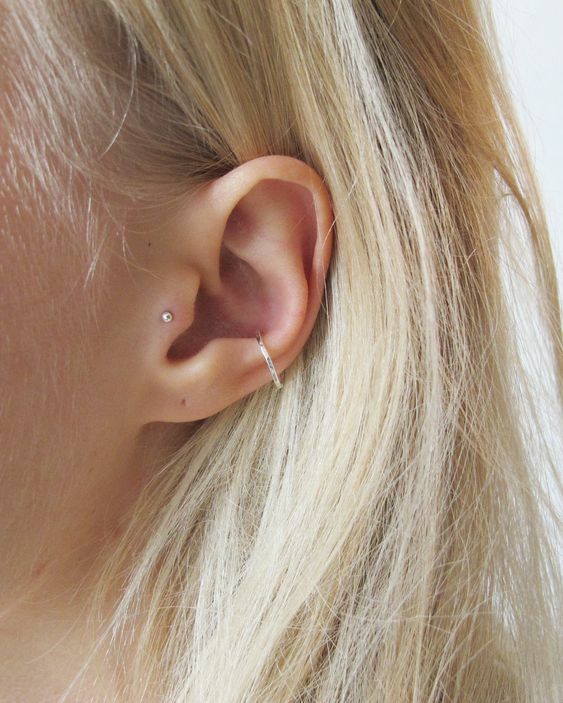 Ask the piercer to use a hollow needle instead of a piercing gun, as the needle will definitely hurt less. 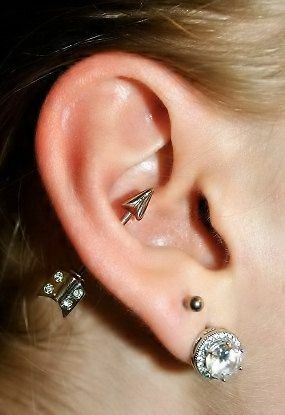 An arrow jewelry for an inner conch piercing. If you know you can’t handle the pain at all, then ask the piercer to use a numbing cream. They will spread the cream exactly on the area to be pierced, as well as the surrounding areas. How Much Would it Cost Me to Get a Conch Piercing? The cost, of course, would depend per artist. You can’t expect to come to one piercer and have the same quotation from another piercer. The location of the shop that you are getting your piercing from can greatly affect the total price of the piercing. 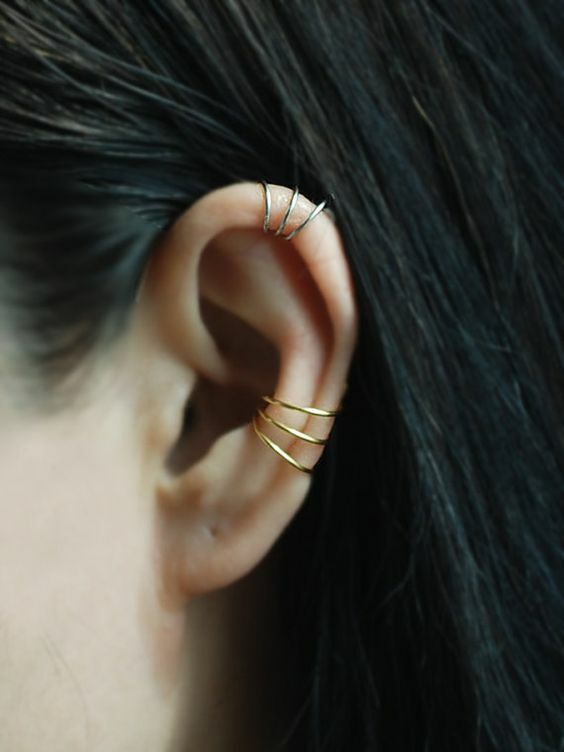 If you are getting your piercing from a shop that is located somewhere in Calabasas or Beverly Hills, then you can expect the price to be more on the higher end. 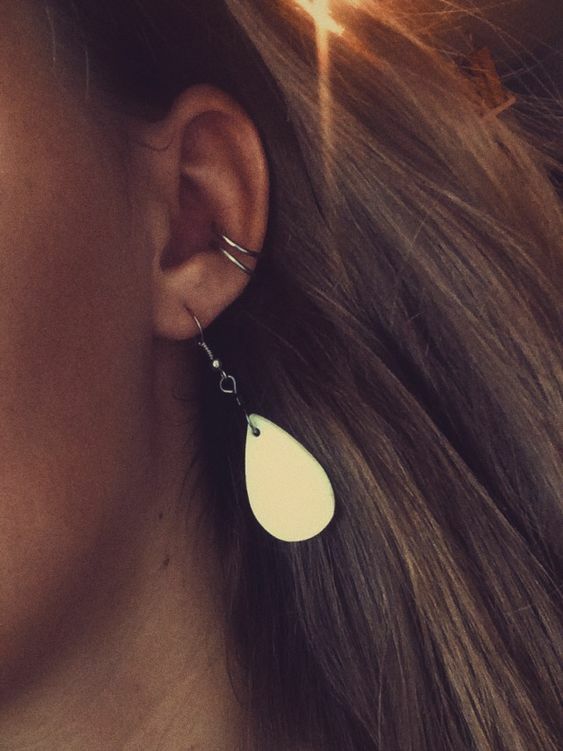 A simple ring jewelry for a conch piercing. The experience and skills of the piercer will also play a huge role in the price of the conch piercing. If the piercer has been doing piercings for a couple of years, then there is a high chance that their prices will be much higher compared to a non-experienced piercer. The price of the jewelry that you choose for your piercing can also greatly affect the overall price. The fancier the jewelry, the higher the costs will be. A unique type of jewelry for a conch piercing on a male model. The more sanitized and clean the shop is, the more expensive the piercing is going to be. Most piercers will spend money to keep their shop clean and presentable to their clients. This is an important factor though, as you would not want to get infected just because of a dirty shop and unsanitized tools. On an average, you would most likely spend around $45 – $80 for a conch piercing. Keep these factors in mind though, as they would likely play a huge role in the total cost when it comes to conch piercing. How Should I Prepare for my Conch Piercing? There are a couple of things that you should do before getting a conch piercing to make sure that you will not contract any infection. Always make sure that you have had plenty of rest before going to the piercer’s shop. Without proper rest, you might get nauseous and might even faint during the process! Get at least 8 hours of rest the night before your piercing so you are sure that you will feel good during the piercing process. Avoid drinking alcohol and doing drugs the day before your piercing appointment. Alcohol is a blood thinner, which means that you will bleed more if you drink and then get pierced right after. Make sure to avoid alcohol and drugs at least a day before your appointment to avoid bleeding out and getting sick. You might already feel too tired after getting your conch piercing, which is why you should go and grab your aftercare needs even before heading to the piercer’s shop. Grab a couple of cotton pads, cotton balls, q-tips, and a bag of sea salt. You will most likely mix the sea salt in water and apply it on the piercing with a cotton pad or ball. You need to stay hydrated all throughout the piercing process, so make sure to drink lots of water before, during, and after your piercing. This will allow you to have more energy during the session, which is exactly what you need. Before heading to your booking, make sure that you are physically and mentally ready to get the piercing. The piercing will hurt, plus, it is a huge responsibility, as you would have to take good care of it after getting pierced. If you feel like you are not ready, then go ahead and reschedule your appointment. 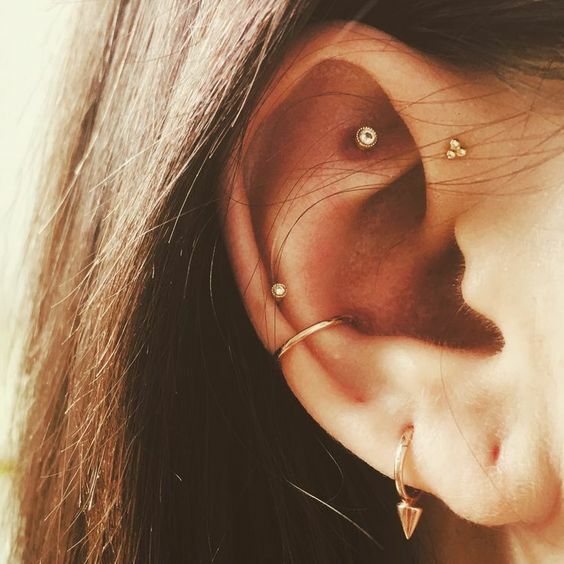 How Should I Clean my Conch Piercing? It is easy to clean a conch piercing and just like any other piercing, all you need is a cotton ball or pad, warm water, and sea salt. Take one cup of warm water and one-fourth of a teaspoon of sea salt. Mix them together until the sea salt is completely dissolved in the warm water. 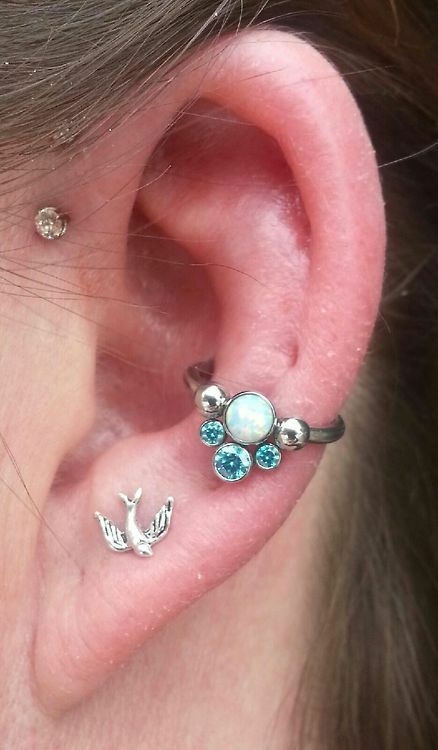 A stone-studded jewelry for a conch piercing. Once you’ve completely prepared the solution, take a cotton ball or pad and soak it in the solution. With clean hands, apply the cotton to your piercing, leaving it there for about a minute or two. This will help clean the piercing and sanitize it, keeping it safe from infections and bacteria. When can I Expect my Piercing to Heal? Since the conch piercing is a cartilage piercing and the jewelry has to go through some really thick cartilage, it will take longer for the conch piercing to heal. You should give it at least 6 months to a whole year for your piercing to completely heal. Clean it twice to thrice a day every day to make sure the healing process would not be delayed. Here is an example of double conch piercing. 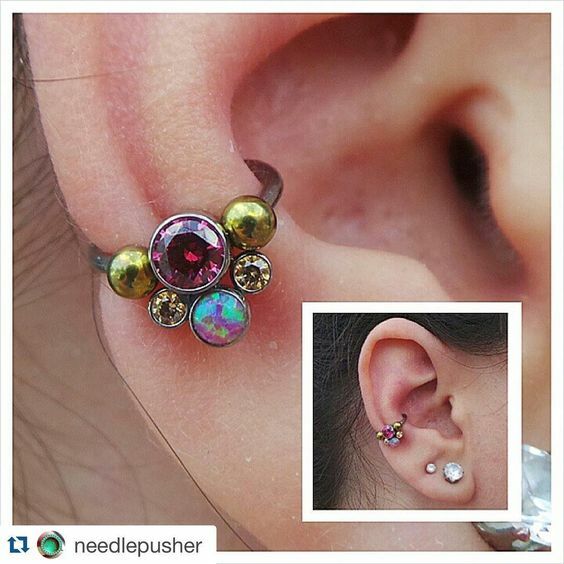 If your conch piercing catches an infection, then you can expect the healing period to be a bit longer than expected. This is the very reason why you really need to take good care of your piercing. Sadly, infections can be quite common with piercings, especially if it is neglected and not well-taken care of after. Take note of the symptoms below to know if you have contracted a piercing infection. If you’ve got these symptoms, then chances are you already have an infected piercing. Watch out for these and see your doctor if you ever feel like you’ve contracted an infection. One of the most common symptoms of a piercing infection is extreme pain. Sure, pain is common during the piercing and after a few days of getting it, but if it persists for more than a week, then something is definitely wrong. Always consult your doctor if you feel like the pain is becoming intolerable. 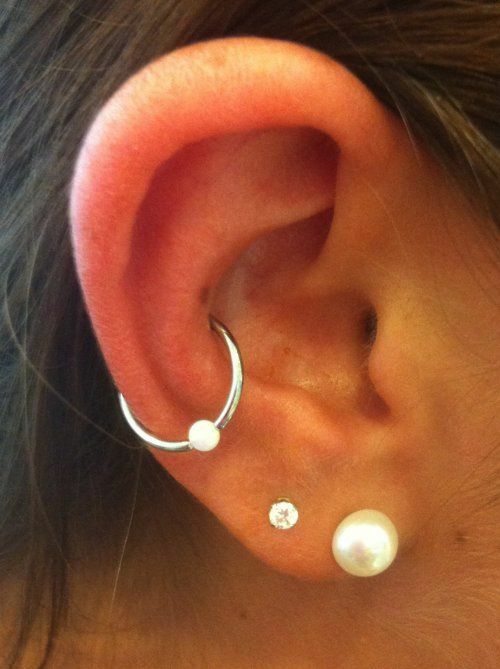 Redness and throbbing are common during the first few days after getting the piercing. Besides, a foreign object was just inserted into your ear’s cartilage, which means that it definitely will become red for some time. However, if the redness and throbbing do not go away for a week or so, then consider taking the jewelry off and tell your doctor about it, as you might already be suffering from an infection. Having clear and white discharge come out of your pierced ear is normal, but having green, yellow, or bloody discharge come out of it is definitely considered as a red flag. This might mean that your infection is already in its advanced stages and you need to see a doctor ASAP. Actually, your fever does not have to be high-grade for you to b concerned. Just the fact that you are suffering from a fever means that your body is undergoing some negative changes. Usually, getting a fever after a piercing means that the infection has spread all throughout your body. Your doctor will most likely prescribe an antibiotic for you to take to get rid of the infection. Getting a piercing, no matter what body part you are getting it in, has its own risks and dangers. See the list below to be aware of what you are putting yourself into when getting a body piercing. Just like what we have mentioned earlier, the number one risk of getting a piercing is contracting an infection. You have a high chance of getting an infection if you do not follow the aftercare instructions given by your piercer, so make sure to follow each tip to a T to make sure you stay away from any type of piercing infection. Piercing migration happens when your body rejects the jewelry, just like it would with a splinter. Our body treats the jewelry as a foreign object, which means that it will sometimes fight off the possibility of the jewelry being accustomed to your body. The possibility of piercing migration is especially high if you are allergic to the metal used in the jewelry. Always have your doctor perform an allergic reaction test before getting pierced so you would know which metals you are allergic to. If you are more susceptible to getting a keloid or a bump, then there is a high chance that you will be getting one on your conch piercing as well. Make sure to be gentle enough when cleaning your piercing so you can minimize your chances of getting a keloid or a bump. 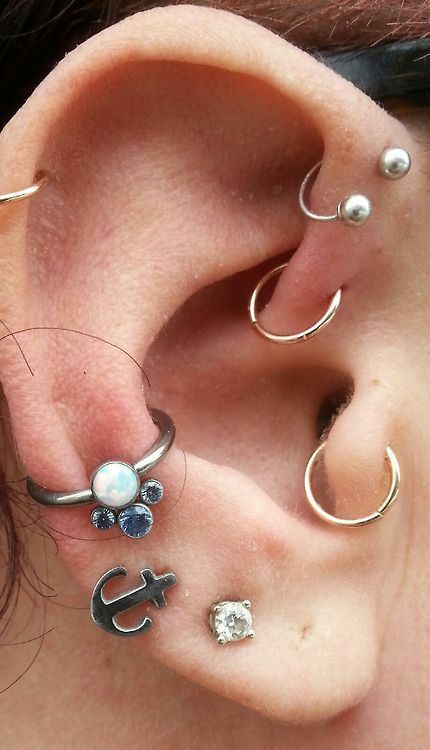 What Type of Jewelry Should I Use for my Conch Piercing? A simple triple conch piercing. Your piercer will most likely suggest the best jewelry that you can use for your piercing, so make sure to ask them in advance. Alternatively, you have the chance to choose from different jewelry types such as barbells, hoops, and studs. Your jewelry shouldn’t be too heavy though, as this will affect the way your piercing heals. Here are a few conch piercing pictures to get you started with your new piercing! Enjoy and good luck! 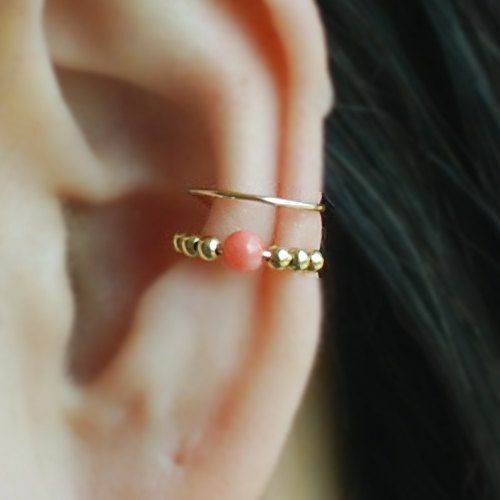 A spirally-type of jewelry for a conch piercing. 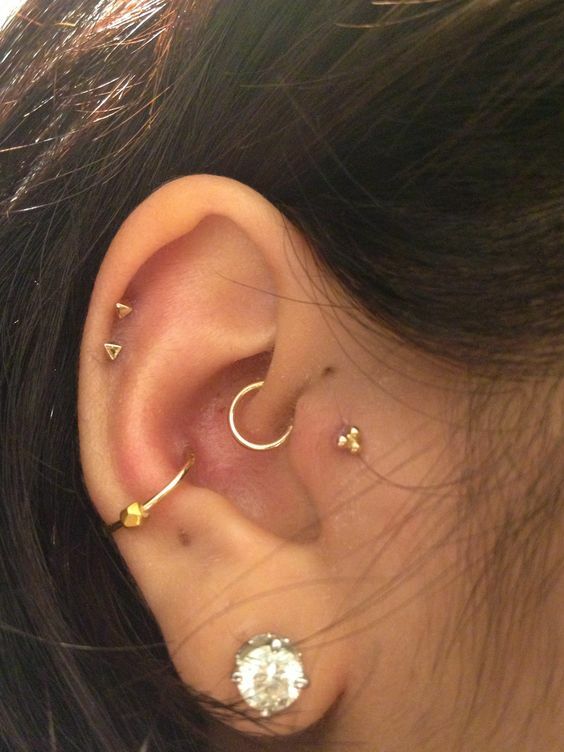 A couple of cute jewelry plus a ring for the conch piercing. A beautiful ring with some studs and stones on it. Conch piercing jewelry for a female model. A simple double conch piercing. Flower jewelry for inner conch piercing. Septum ring used as an earring for an inner conch piercing. 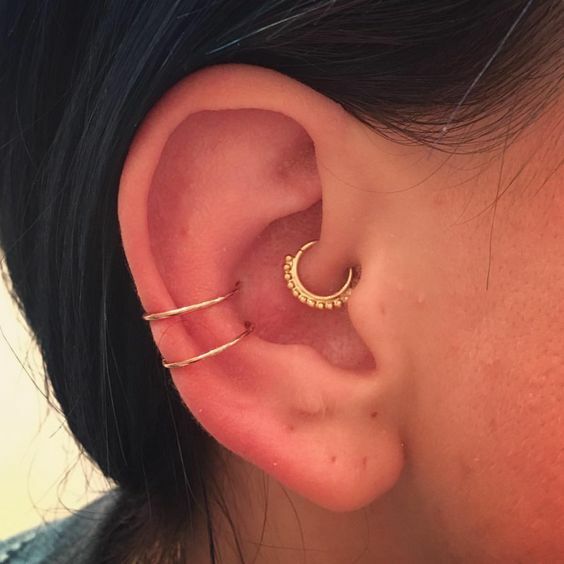 A bigger ring for a lower-placed conch piercing. 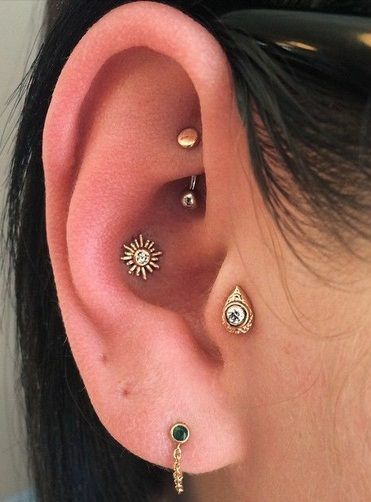 Sun jewelry for an inner conch piercing. Beautiful earrings for outer conch piercing.